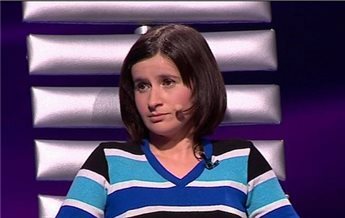 BETHLEHEM — An Israeli soldier admitted that she shot and killed unknown numbers of Palestinian people, including children, on a Ukrainian television program that aired in early November. Elena Zakusilo, a Ukrainian Jewish woman who moved to Israel in order to serve in the Israeli army, revealed on the Nov. 4 episode of the program “Lie Detector” that she had killed Palestinians and had shot at Palestinian children, but was unsure how many she managed to kill. Zakusilo, who goes by the name Elena Gluzman in Israel, also explained that she trained army dogs to raid Palestinian villages and conducted video surveillance that she monitored from up to 10 kilometers away. Zakusilo said on the show that one of the times when she shot Palestinians was during protests that broke out after Yasser Arafat died in 2004. “It’s scary, especially when children run with Molotov cocktails, and they send children, to turn the attention to them, little kid, barely walking, 3-4 years old,” she added, explaining that she was unsure how many Palestinian children she had shot dead. Although Zakusilo said that she was “not proud” of these acts, she blamed Palestinian mothers for sending their children to be “suicide bombers” and suggested that they did not care about their children’s lives. Zakusilo also spoke about her work training dogs for reconnaissance missions into Palestinian villages, which involved placing headphones and cameras on them and directing them to attack Palestinians they encountered until soldiers could arrive. “It has an electronic collar, and a camera that hangs on the collar, and the trainer has the remote control, and he, from a distance up to ten kilometers, can watch and give orders to the dog, to attack or not attack,” she added. Zakusilo explained that she was a “senior trainer” and trained a total of 150 dogs, and for her work she was promoted to the rank of major. Zakusilo responded in the affirmative when asked by the game show host if she was “willing to go back to Israel and continue killing enemies” if she had financial difficulties in Ukraine, and said that she was unafraid of potential repercussions for revealing what she had done while in the Israeli forces. Zakusilo added that while at first she hesitated to kill people, she came to see her fellow soldiers as “family,” and they helped her come to terms with killing Palestinian children and other feelings she had. The transcript of the television show was uploaded by Palestinian activist Abir Kopty on her blog, and although the video is freely available on the television show’s website, the translation could not be independently verified by Ma’an. Kopty, the Palestinian blogger who found the video and posted it, explained that she was “shocked,” but not surprised by Zakusilo’s comments. “The Israeli military will probably either discredit her, or justify her actions or say, as always, it’s an individual case” in order to explain it, she argued. Kopty said that individual Israelis had responded or commented on the piece repeating the Israeli army’s “mantra” justifying what she says, in order to absolve the Israeli forces as a whole of responsibility. “The machinery of propaganda always works, and they try to justify everything,” she said. An Israeli army spokeswoman could not immediately confirm whether Zakusilo had served in the Israeli forces when contacted over the weekend. The Israeli organization Breaking the Silence has collected 700 testimonies of Israeli army veterans, documenting a culture of widespread mistreatment and dehumanization of Palestinians among Israeli soldiers.